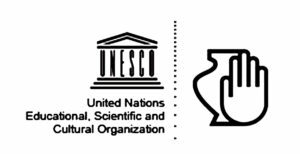 On Friday 10 March at 19:00-20:00, the members of the Subsidiary Committee of the 1970 UNESCO Convention will be given a tour of the Museum. The tour will be followed by video showings in the Museum Events Room, presenting the most important archaeological sites of Crete, nominated for inclusion in the UNESCO World Heritage List. The event is held in collaboration with the Ephorates of Antiquities of Heraklion, Lassithi, Chania and Rethymnon. The working meetings of the Committee, chaired by the General Culture Secretary Mrs Vlazaki, will be held on Saturday 11 March at the Basilica of St Mark. The Museum Director Mrs Mandalaki is among the representatives of local bodies addressing the Committee prior to the start of the meeting. The Heraklion Archaeological Museum, as a participating body in Graduate Training in collaboration with the University of Crete, is offering work experience placements to two students from the Department of History & Archaeology. The trainees will take part in some of the basic activities of the Museum, guided by staff members, with the aim of making a substantial contribution to the work of the Museum and becoming familiar with the actual working and operating conditions of a Museum. In March the trainees will be employed on the documentation and digital recording of antiquities and the implementation of educational programmes. Experiential educational programme on ancient sculpture. 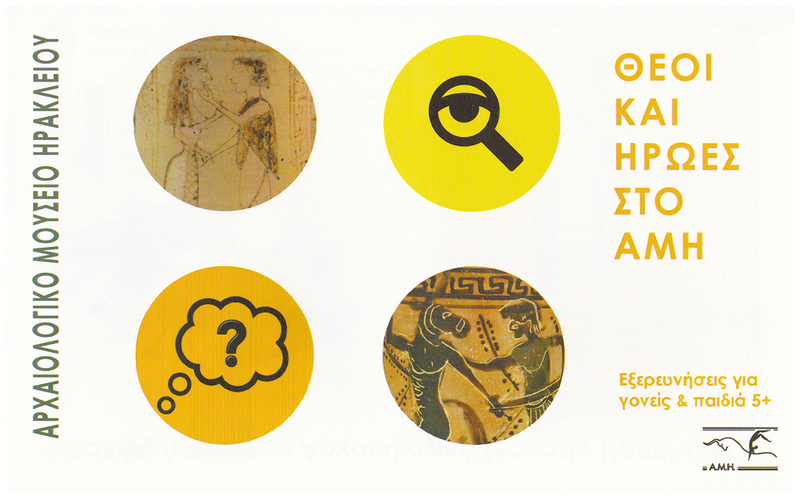 Pilot application with the 3rd Year of the 8th General Lyceum of Heraklion as part of the subject History of Art. An attempt to familiarise students with works of sculpture from different historical periods and used for a variety of purposes (architectural, funerary, decorative, religious), not only through the information they carry but also through their emotional charge, which students are called upon to recognise and then represent with their own bodies and in groups. A seminar for teachers at 11:00 on Saturday 18 March organised in collaboration with the Secondary Education School Activities Office. 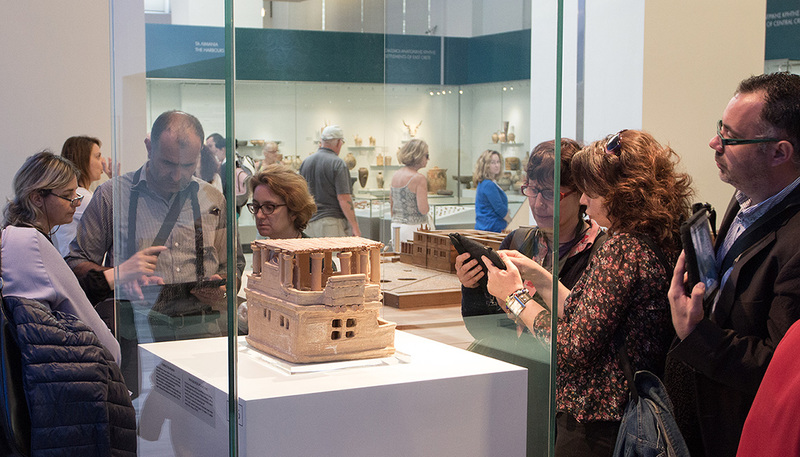 The seminar is intended to familiarise teachers with the digital programmes of the Heraklion Archaeological Museum and their practical implementation. The implementation of two digital educational programmes continues. 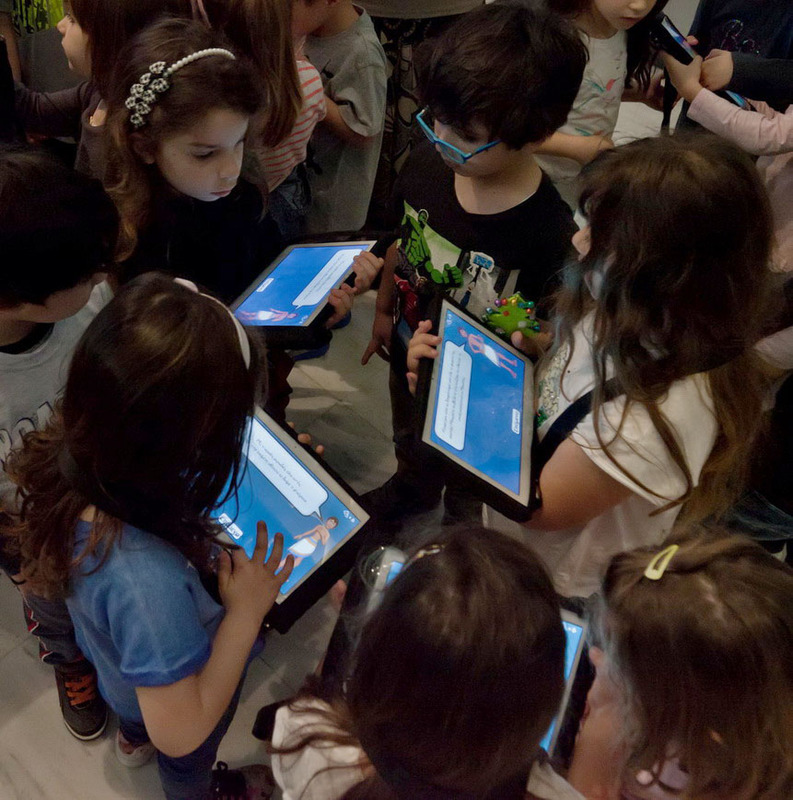 They are designed in the framework of the ERDF Operational Programme “Experiential Cultural Environments” action, for 3rd- and 4th-year Primary and Gymnasium students. 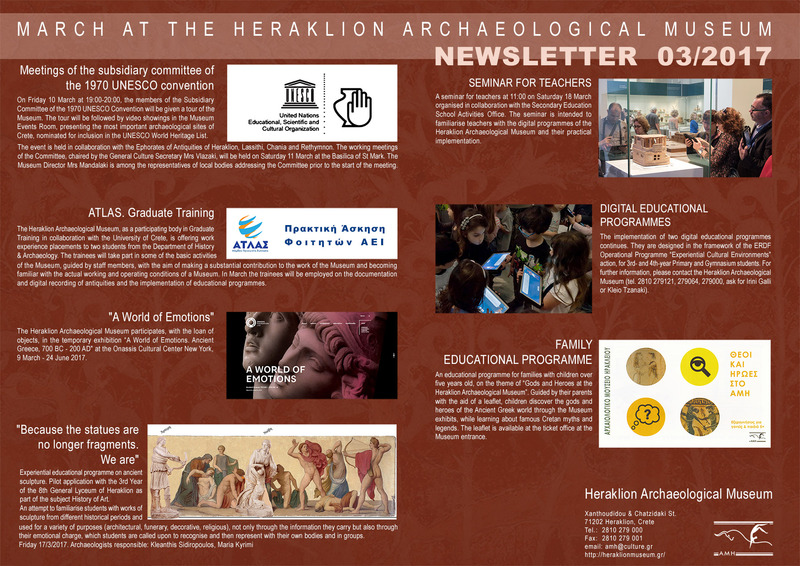 For further information, please contact the Heraklion Archaeological Museum (tel. 2810 279121, 279064, 279000, ask for Irini Galli or Kleio Tzanaki).